Caress by Caress. A Candid Approach. 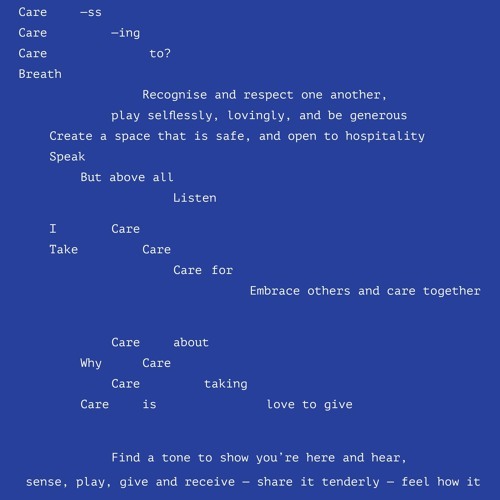 The piece is part of The Great Learning Orchestra "a4room" project, and it is written by the editorial team of "Caress. A Candid Approach." publication. Performed and recorded by The Great Learning Orchestra at Candyland, Stockholm on 1st of June 2018.